Our Greece tours offer experiences for every type of traveler. 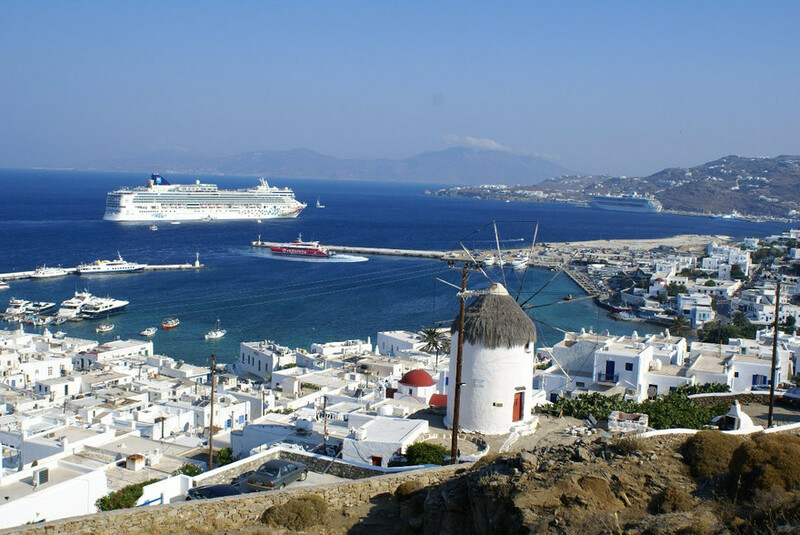 Enjoy Greece’s various islands and beautiful beaches overlooking the enchanting Aegean ocean. Dig in and enjoy Greece’s diverse cuisines, world-famous and relies on a wide variation of fresh foods. If you love adventure, you’ll enjoy hikes, sightseeing, and plenty of trekking! Our hotel in Athens was unsatisfactory. This hotel caters to tour groups. Every morning at breakfast it is a fight to find a place to sit. During my f..."
Greece offers a wealth of riches for the traveler. If you're after beautiful beaches, you'll find them here. If you love history, you'll find one of the world's most ancient cultures. If you love food, hikes, enchanting towns and basically everything good a destination could have on offer, you'll surely find it in Greece. Greece always manages to seduce the history enthusiasts, intrigued by the beguiling mythical history behind Greece’s ancient ruins and Greek philosophy. 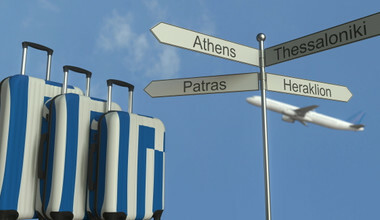 A typical round trip Greece tour will start or finish in its historic capital, Athens. 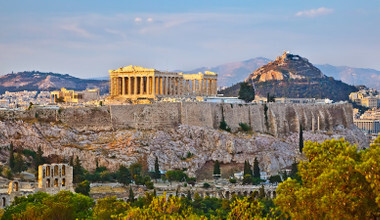 In Athens, you can witness Greece’s most famous monument, the incredible Acropolis. Crowned by the Parthenon, the Acropolis overlooks the entire city. Another mesmerizing site that you can’t afford to miss on your Greece holiday are the spectacular monasteries of Meteora. Perched up high on top of six natural sandstone rock pillars. The monasteries were a safe haven for monks during the 14th century bloodshed. Today, they are one of Greece’s most respected sites. While many travel to Greece for its history, the country is under a complete revamp. When you travel to Greece, expect new stylish shops and restaurants. An thriving art scene manifesting the direction that the Greek capital is heading. It’s no better time to experience a Greece vacation to witness this wonderful transition! Your Greece holiday package is not complete without indulging in the finer things in life! 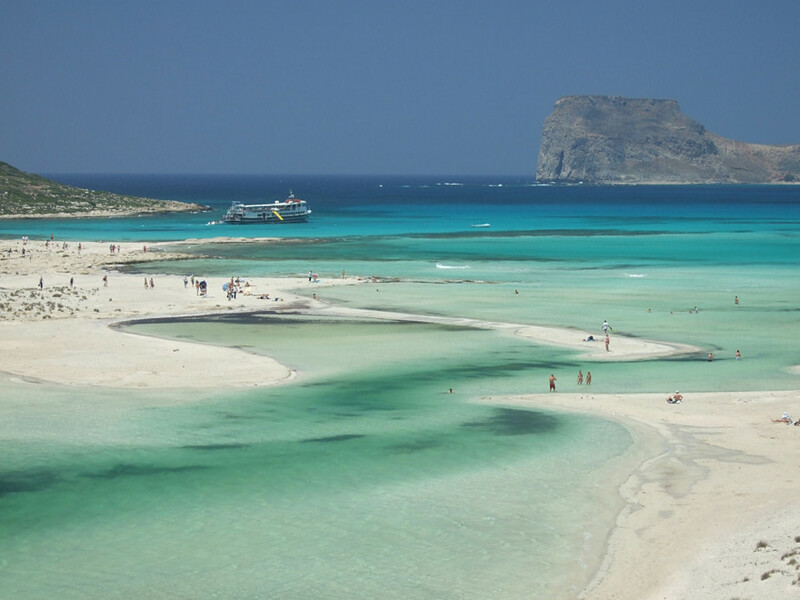 Greece has over thousands of islands throughout the Aegean and Ionian seas - island hop, relax, and soak up some sun! Santorini is the most popular of the Greek island. Witness its layered white-washed facade overlooking the picturesque Aegean ocean. Are you planning a trip to Greece for romance? Well, Santorini has evolved to be a popular destination wedding location! 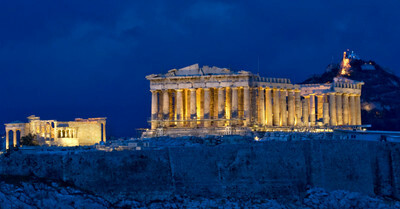 While there are many Greece travel tours related to adventure, cuisine, and history. 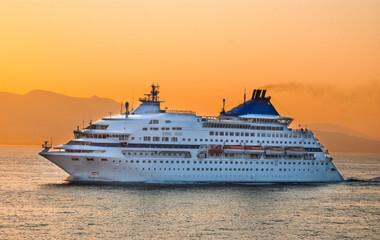 It’s not unusual that trips to Greece are the choice of honeymooners! There are several Greece honeymoon packages that can customized for your special occasion! Enjoy a private cruise, wine tasting, or a candlelight dinner by Caldera. 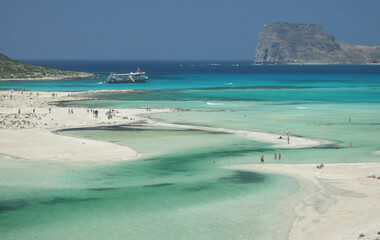 Other popular island destinations in Greece are Crete, Mykonos, Corfu and Rhodes. If your up for an adventure, Crete, the Samaria Gorge awaits for trekking and/or hiking. The White Mountains National Park centers around the gorge. At approx. 1200 meters, it offers breathtaking views and is the longest gorge in Europe. Whether you’re a history buff, thrill seeker, or a foodie, Greece has something for everyone! Along with immersing in the history of Athens. Take a cooking courses, which is a popular activity during a variety of Greece private tours. You don’t want to miss the opportunity to learn how to make some of the finest cuisines in the world! Greece’s diverse cuisine is world-famous, relying heavily on a wide variation of fresh foods. It reflects the Mediterranean diet, with use of a rich amount of olive oil, salads mixed with sumptuous fresh yogurt, and fresh soft bread. Don’t forget the ubiquitous olives and feta cheese! Dips are used widely and are used frequently in Greek recipes. In particular, the mouth-watering Tzatziki (yogurt, cucumber, and garlic) and taramasalata (cod roe, olive oil and lemon juice). With many coasts and islands, fish is another dish served incredibly well in Greece. Although not popular, meats in Greece are prepared to perfection, and are accessible. With so many options, you're sure create memories in Greece that will last a lifetime! Greece has evolved over the years with new restaurants, shops, and a emerging art scene . But still, consists of the most significant history and philosophy in Europe. 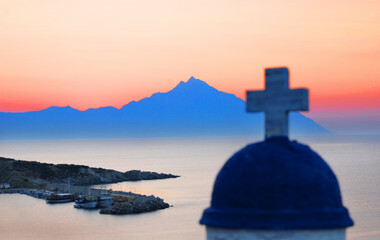 Understanding the culture and traditions of the Greek is essential to make the most out of your dream Greece vacation. Nonetheless, our destination expert can't wait to share with you local tips and recommendations! 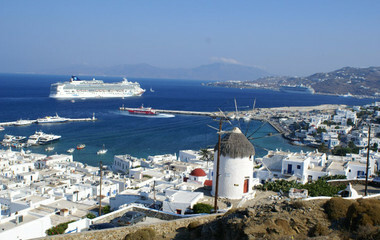 With so many Greece private tours available, choose from handpicked attractions and activities. 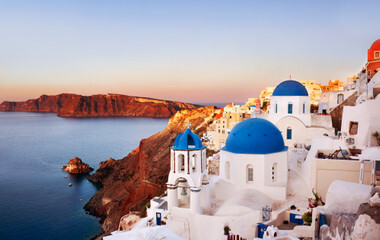 Experience a Greece tour which features a variety of rich experiences. 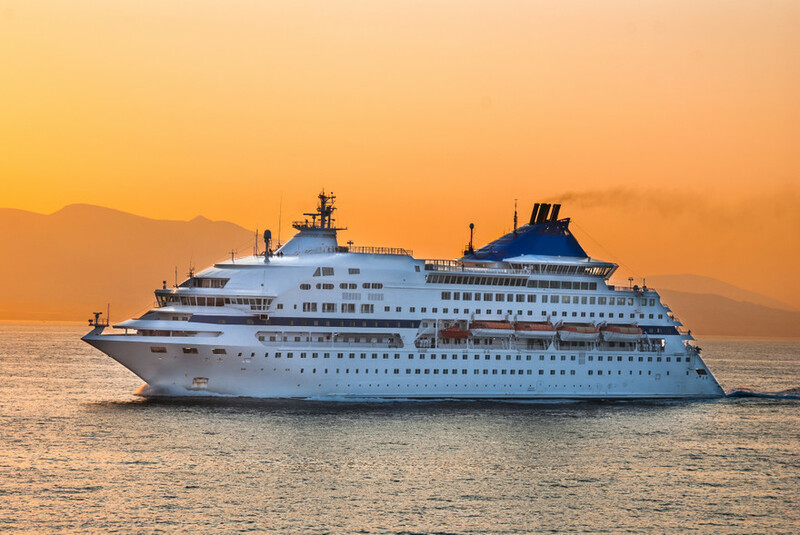 Explore the best Greece has to offer by cruise, vehicle, or foot. Witness magnificent historic sights including Corinth Canal, Olympia, Poseidon’s Temple, and more. 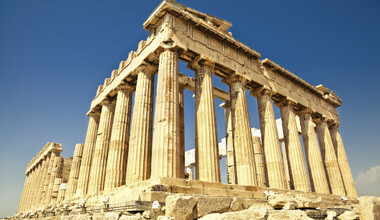 Learn about the ancient history of Athens and Greek traditions. Did you know Greece has over 6,000 islands? Discover the best of them and relax on their beaches overlooking the Aegean and Ionian seas. Hungry? Well, Greece is a food lovers dream! Devour all kinds of delicious Mediterranean cuisine and every kind of seafood you could imagine! Select your dream Greece holiday package, whether you're travelling solo or as a couple. Are you convinced yet? Start planning your Greece holiday today! From food to cosmopolitan islands to religious practices, a Trip.me private tour of Greece will give you a experienceof a lifetime. Your destination expert will guide you through Greece’s fascinating history. 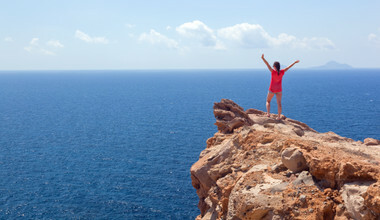 As well as, help you discover the best of contemporary Greece! Contemporary Greek culture relies heavily on Greece’s location. Lying where east meets west, reflecting and merging both. The country’s history is also a fundamental factor in understanding Greek philosophy. As well, understanding the rich modern culture that it has evolved into. No matter what kind of traveler you are, our itineraries can be customized to fit your preferences. Let us help you make the most of your holiday in Greece! Food, Religious practices, and traditions are all an integral part of the culture in Greece. Contemporary Greek culture relies heavily on Greece’s location, lying where east meets west and therefore reflecting and merging both. The country’s turbulent history is also a fundamental factor in understanding the Greek philosophy. 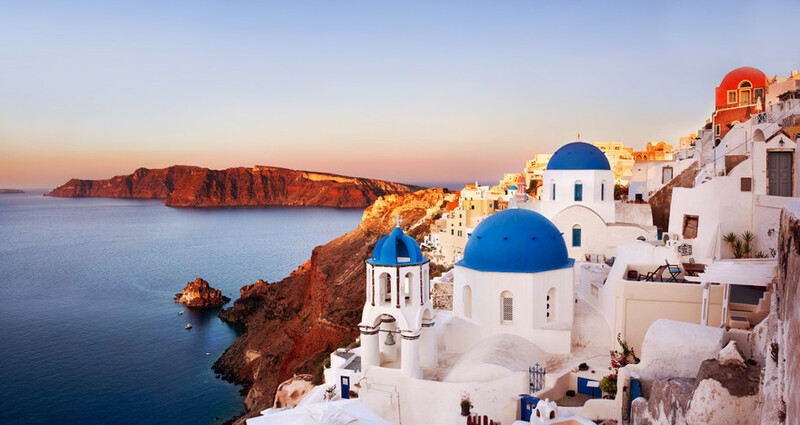 Having evolved over thousands of years, Greece contains arguably the most significant history and philosophy in Europe and is essential to understanding the rich modern culture that it has evolved in to. Greece’s diverse cuisine is world-famous and relies heavily on a wide variation of fresh foods. It reflects the Mediterranean diet and makes use of a rich amount of olive oil, salads mixed with sumptuous fresh yogurt and scooped up with soft, fresh bread, and of course the ubiquitous olives and feta cheese. Dips are used widely and are also an enviable group of Greek recipes, in particular, the mouth-watering Tzatziki (yogurt, cucumber, and garlic) and taramosalata (cod roe, olive oil and lemon juice). Having many coasts and islands, fish is another dish served incredibly well in Greece and, although not so popular, meats in Greece are cooked to perfection and easily accessible. What time of the year is it best to visit Greece? The best time of the year to visit Greece would be the periods just before and just after summer. Mid-April to Mid-June you will see the beautiful spring weather just heading into summer but also avoid those intense summer months of mid-June to September. The worst times to visit would be the scorching month of August and also the wet winter months from November-February. Antonis was very prompt to answer any questions that we had before the trip and during our stay in Greece. All the arrangements were made keeping in mind our requests and interests. We came back very happy and would gladly recommend him. Antonis was prompt in his response and was quick to help when we encountered a small glitch during the trip. We enjoyed our Athens stay and the tour to Delphi, Epidaurus, Olympia, and Meteora. Santorini was a disappointment; we did not like the hotel, which was barely operational. We enjoyed staying at the Athenian Callirhoe, which was conveniently located near the Acropolis, Acropolis Museum and Plaka. We thus found the Athens half-day tour redundant and felt that we had wasted time waiting for the tour to start. Our hotel in Athens was unsatisfactory. This hotel caters to tour groups. Every morning at breakfast it is a fight to find a place to sit. During my first stay of several nights, my room was tiny and unsatisfactory. The staff, on the other hand, were good and responded well to my requests to improve the room. In Crete our hotel is excellent. My drivers were all good. The trip was utterly wonderful. We asked for knowledgeable guides and all had advanced degrees. An education every day. Affordable too. Antonis was amazing. He worked with me to develop a perfect trip for my family! He exceeded my expectations. Each experience that he arranged for us was superb and tailored to our needs and likes. Everything was easy and smooth. I can't wait to work with him again.